The Yellin Center Blog: Why Not? Celebrate: Punctuation! This Thursday, September 24th, is National Punctuation Day! If you’re like us, this is a day to celebrate. After all, those little dots, lines, and squiggles add important meaning to texts that words couldn’t on their own. 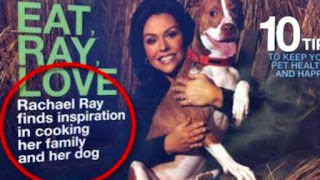 Of course, not everyone is as passionate as we are about punctuation. Here are some fun ways for teachers and parents to drum up a little enthusiasm with young writers. Personify Punctuation – To help kids understand the tone those little marks imply, invent a short description of the personal characteristics each mark might have if it was brought to life. (This can be done in writing or as part of a discussion.) Perhaps the question mark is a whiny three-year-old who hates following the rules and needs justification for everything. The exclamation point might be a cheerleader. Draw It Out – Make posters or pictures to show each mark’s meaning artistically. For a group, assign different marks to different students, or a have a single child come up with images for all of the marks. In a classroom, these can be displayed; at home, these can go into a resource binder or on the wall near the child’s homework spot. Perhaps the period is a stop sign. Maybe red and yellow should be used in imagery for the exclamation point to show excitement and urgency. Take It to the Stage – Play a guessing game with kids just learning the basic punctuation marks. The adult should set up the game by choosing some simple words, then writing an exclamation point, a period, and a question mark on slips of paper to put into a paper bag. To play, the child must draw a mark from the bag, then say the designated word (“Yes.” “Me?” “Go!”) in the tone that fits the punctuation. The other player(s) should guess the mark. Make it Meaningful – Of course, the reason punctuation really matters is that it affects a text’s meaning. One famous example is the (photo shopped) magazine cover that, without commas, seemed to say that celebrity chef Rachael Ray enjoys cooking her family and her pets.Another comma example that spawned many memes is the sentence “Let’s eat, Grandma!” whose meaning changes rather dramatically if the comma is removed. 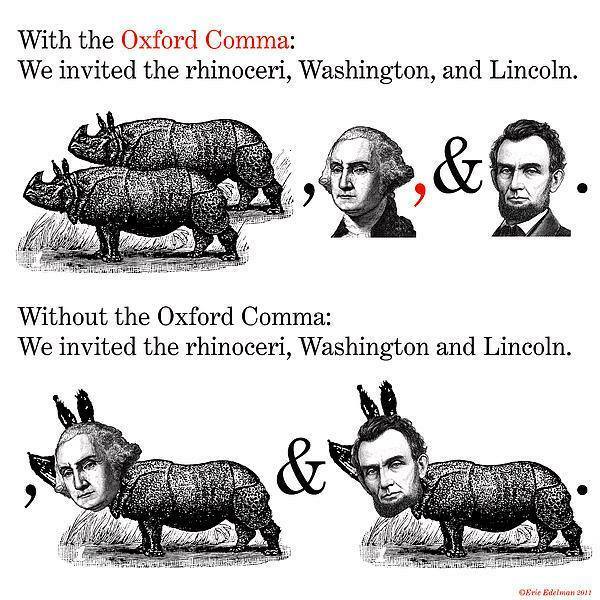 Or check out the way the Oxford, or serial, comma changes the meaning of a sentence in this popular meme, which features a rhinoceros and two of the United States’ most beloved presidents. You get the idea. Get kids talking: how does punctuation shape the meaning of their own writing? How would that meaning change if they were to choose different marks instead? Ask an Expert – Older students may enjoy these pieces by well-established authors on punctuation.